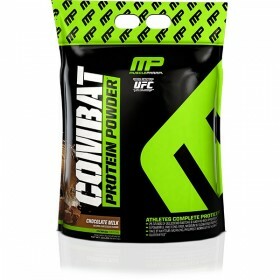 MusclePharm Combat Powder 10lbs 4.55kg Protein Muscle Pharm now in bulk buy 10 pouder bags. 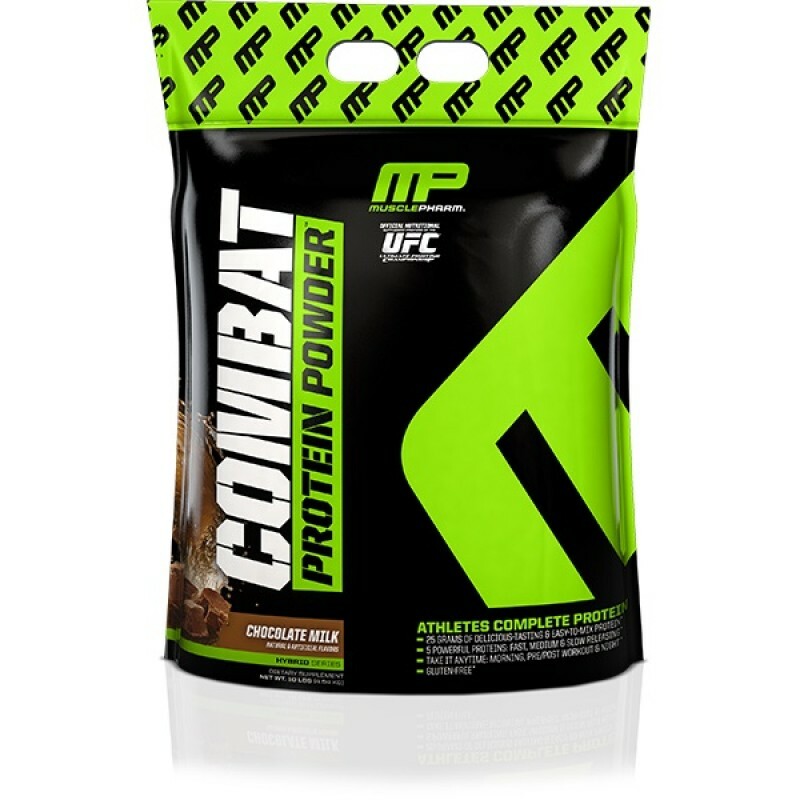 Combat top 3 selling flavours of your choice, buy bulk and save with Muscle Pharm combat. MusclePharm Combat Feed your muscles Up to 8 Hours! This is 25 grams of high-quality protein in a tasty, easy-to-mix shake, formulated for athletes And active people. People who train hard demand a superior and more effective protein. To maximize muscle development and ensure proper protein utilization, MusclePharm® scientists fortified Combat Powder® with a variety of protein blends that digest at varying rates, for up to 8 hours. * The great-tasting, easy-mixing digestive blend is fine tuned for true nutrient utilization—a step ahead in protein powder technology. 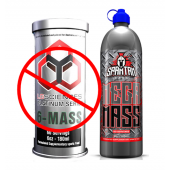 Most supplement companies seem to be okay with the status quo, the minimum. But ask yourself: do you give your workouts minimum effort? MP® scientists over-delivered. Combat Powder® is precision-engineered with whey protein concentrates, hydrolysates and isolates, egg albumen, micellar casein. Whey Protein Isolate: WPI digests and absorbs rapidly and is, gram for gram, the highest available yield of protein. Partially Hydrolyzed Whey Protein: Broken down into faster-absorbing peptides, this rapidly infuses muscle-building amino acids. MICELLAR CASEIN: It digests slowly, infusing valuable amino acids over several hours. Studies show this may protect muscle tissue. 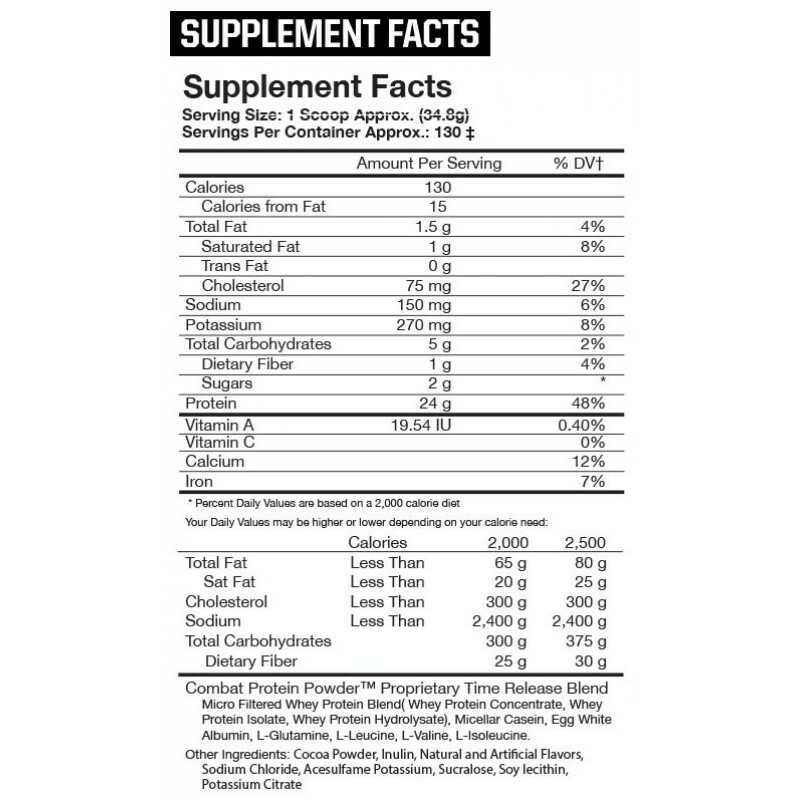 WHEY PROTEIN CONCENTRATE: Closest to whole food and contains real subfractions. Egg albumen: Highly bioavailable and tolerated by most individuals, egg albumen is high in BCAA and arginine, contributing to hormone production and muscle building. Digestive Enzyme Blend: 60mg added to aid in protein digestion and absorption. 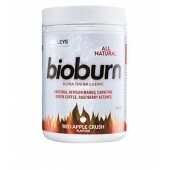 Added BCAAs and Gluta-mine: The BCAAs l-leucine, l-isoleucine, and l-valine maintain, repair and build muscle tissue. 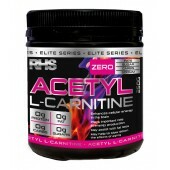 L-leucine has been suggested to support protein synthesis and muscle development . L-Gluta-mine has been surmised to support healthy immune systems. Some suggest L-Gluta-mine helps with recovery. 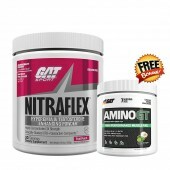 Combined with Gluta-mine, it also fortifies muscle-building. 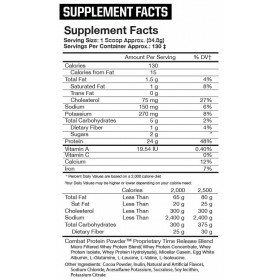 As a dietary supplement, mix 1 to 2 scoops of COMBAT POWDER® with 8-12 fl oz of cold water. Vary the amount of water to achieve your desired consistency and taste. Consume 2-3 times a day for optimal muscle development . As a dietary supplement, mix 2 scoops (providing 48 grams of protein) with 8-12 fl oz of cold water or any beverage you prefer. Consume 2-3 times a day for optimal muscle development. To increase your protein intake per serving and achieve a delicious milkshake taste, use skim or low fat milk instead of water. As a dietary supplement, mix 1 scoop (providing 24 grams of protein) with 4-6 fl oz of cold water or any beverage you prefer. Vary the amount of water to achieve your desired consistency and taste. Consume 2-3 times a day for optimal body goal requirements. To increase your protein intake per serving and achieve a delicious milkshake taste, use skim or low fat milk instead of water. Due to the amount of active ingredients in this product, shake weekly and before use to ensure proper ingredient mixture and effectivness per dose.